Padang Bai, also known as Padangbai, is a relatively small coastal town situated in the eastern part of Bali, next to Candi Dasa. This place is best-known for the beautiful harbor. Many people use this harbor as a base or as a transit port town to visit some other places in and around Bali like Lombok and Gili Island with a ferry. However, this is not only a transit port town, Padang Bai Bali is offering many interesting activities to its visitors and there are many things that you can do. We will use this introduction to highlight some of these things. So, when you come back to Padang Bai Bali from your ferry trip to the Gili Islands or Lombok you will probably need a place where you can relax and rest. The fact is that in most cases this boat trip can drain your energy because of the big waves. One of the best places to take a rest and enjoy is Blue Lagoon. This is a Secret Beach located just five minutes from the Padang Bai Harbor. Blue Lagoon is less crowded than other beaches, only balinese people. It has beautiful white sand and one bar/warung in the area. You can also get involved in snorkeling because you can rent equipment there. Another great reason why you should visit this small charming port town, is the fact that you can find many friendly people there. They will be glad to help you in case you have any questions and explain more about this area. Remember you are in one small port town, is also known for the good food. You can visit any warung and try some seafood, prawns, red snapper, tuna and more. Of course, if you are not ready to make experiments, you can also find many bars where you can eat burgers, pizza, and pasta. 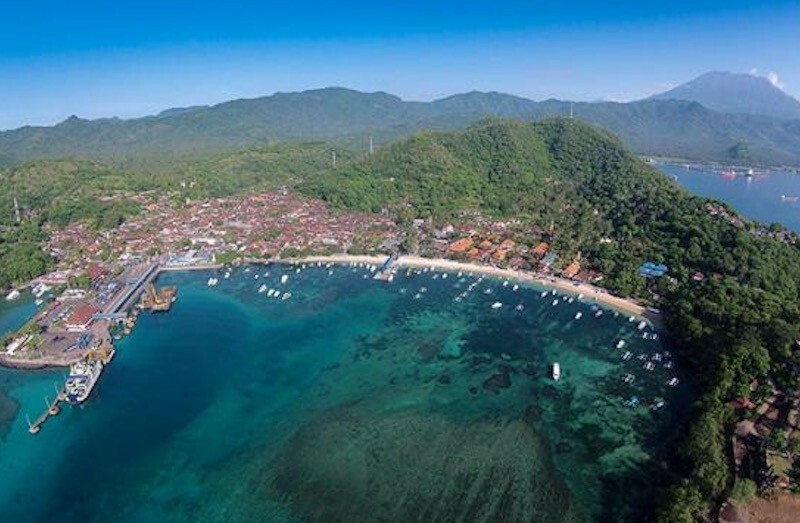 There are many things to do in Padang Bai, but we will mention the four most popular things that tourists choose when they are in this Balinese town. First of all Islands Trips, they are interested in trips to the surrounding small islands. The most popular choice is a trip to Gili Islands. This is a group of three small islands close to Lombok Island. They are known for the pristine sandy beaches and beautiful palm trees and the stunning coral reefs. You can also check some sunken ships and sea turtles while you are there. You can also travel o Lombok island which is a relatively large island. This is the place where you can enjoy volcano sightseeing, mountaineering, and visiting the Gunung Rinjani National Park. Snorkeling and Diving in PadangBai. Blue Lagoon is excellent for beginner snorkelers and it is best known for the beautiful tropical fish that dwell there. The best part is that these fish are very friendly and it is very likely that you will get a chance to get very close to them. 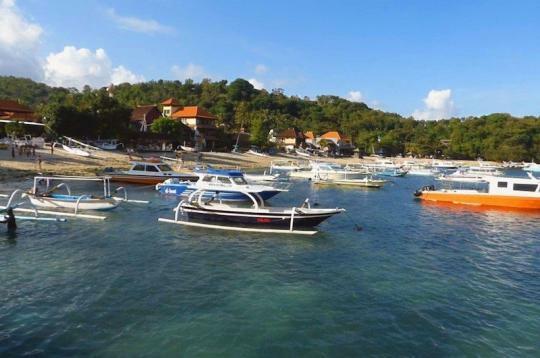 Another place where you can enjoy snorkeling is Tanjun Jepun. Snorkeling in Tanjun Jepun is an amazing experience, you can find some amazing fishes and underwater life like frogfish, cuttlefish, and turtles. Diving in Padang Bai will give you a chance to meet hundreds of coral reefs and fishes. Creatures that you can see on this amazing place include blue ring octopus, stone fish, mola mola, manta ray, wobbegong and more. Padangbai is situated in East Bali where the weather has its own characteristics. Generally speaking, it is the best idea to visit Padangbai during the dry season and that’s between April and September. However, keep in mind that the Padang Bai Weather, just like anywhere else in the world has been changing in the last two decades and the wet season is a little bit drier and vice versa. Don’t forget that the best resorts in this area may eventually book up in July and August and even on Christmas, but this place is usually less crowded compared to south Bali. If you are interested in surfing, it is highly recommended to visit Padangbai between October and March. So, Padang Bai weather is tropical, but there is a dry and wet season. Depending on the things you want to do in this town and around it, you should choose the suitable season for you. It’s one thing to go there for surfing and diving and another for sunbathing and hiking. This is is a popular tourist destination in Bali and this is the reason why there are so many Padang Bai hotels out there. Similar to other places in Bali you can find relatively cheap hotels and exclusive hotels that have high rates too. There are many resorts in this area and some of them are on the beach while others are located further on the mainland. Some examples include Beji Bay Resort and Padang Bai Beach Resort. Some other hotels and other types of accommodation that are worth checking are Kerti beach Bungalow, Topi Inn, Bloolagoon and Puri Rai Hotel. This area has a picturesque landscape that has different terrain. So, if you are planning on going to Padangbai, you should check a Padang Bai Map. This place has a large port and many people are getting there by boat. Obviously, you can go there by car. Most people use the Pelabuhan Padang Bali street to get to Padang Bai Bali. The port we’ve mentioned separates the town into two parts. So, you can find some lovely beaches south of Padangbai and north of Padangbai.